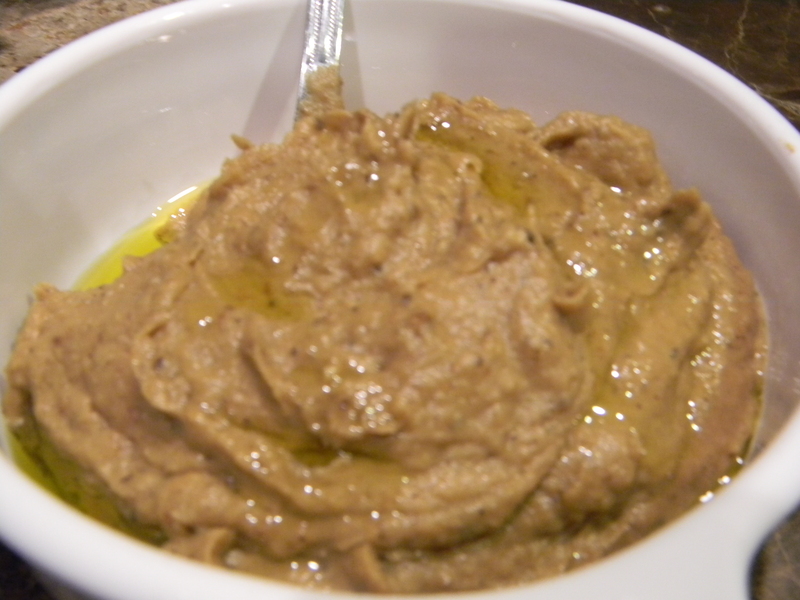 I like to serve this smoky dip alongside lamb or with pita triangles. This dip also turns into a wonderful sandwich spread with roasted veggies or with chicken. Heat oven to 400 degrees. Spread cubed eggplant out on a large baking sheet. Drizzle with olive oil and season with salt and pepper and toss around with your fingers to coat all pieces well. Bake for 30 minutes until lightly browned and soft. Scrape eggplant into food processor. 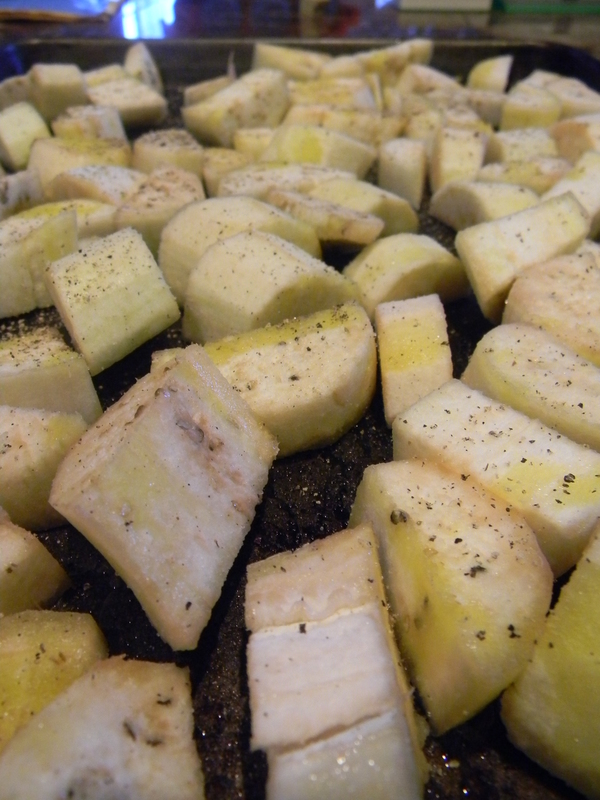 Season with salt and pepper, cayenne and cumin. Pour in lemon juice and olive oil and pulse until smooth. You can add more or less olive oil for desired consistency. Drizzle with a little extra olive oil to serve and a pinch of cayenne. After much deliberating (with myself), I opted to go low-carb for my New Year’s Res. This means that I will be cooking a bit healthier (lucky us). 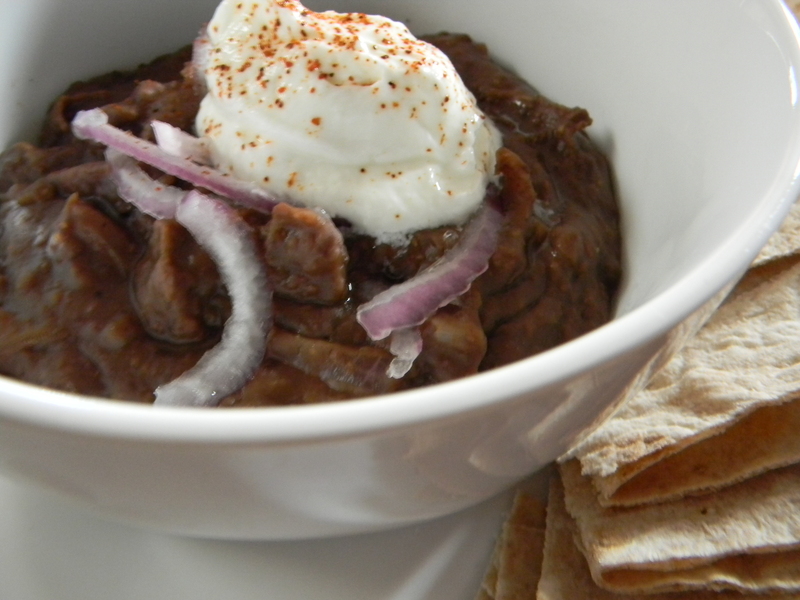 I despise store-bought bean dips, they taste horrible to me. Therefore, I decided to whip this one up, which you will love. AND…it is sans guilt. You know, that feeling you get after scarfing down an entire bowl of artichoke spinach dip and half a bag of tortilla chips? Yep, did just that last week pre-diet. Serve this delish dip with whole grain pita chips or whole wheat lavosh. You can also slather it on a tortilla and add some grilled chicken, lettuce, tomato and a dollop of light sour cream for a yummy sandwich. 1.) In a medium skillet over medium heat, add 6 sprays of butter. Add sliced red onion and saute until slightly browned and softened, stirring frequently, about 4 minutes. Add garlic, stir and cook another minute. Add chipotle juice, chile powder, cumin, and black beans. Season with salt and pepper, stir and let cook over medium low heat for 1-2 minutes. 2.) 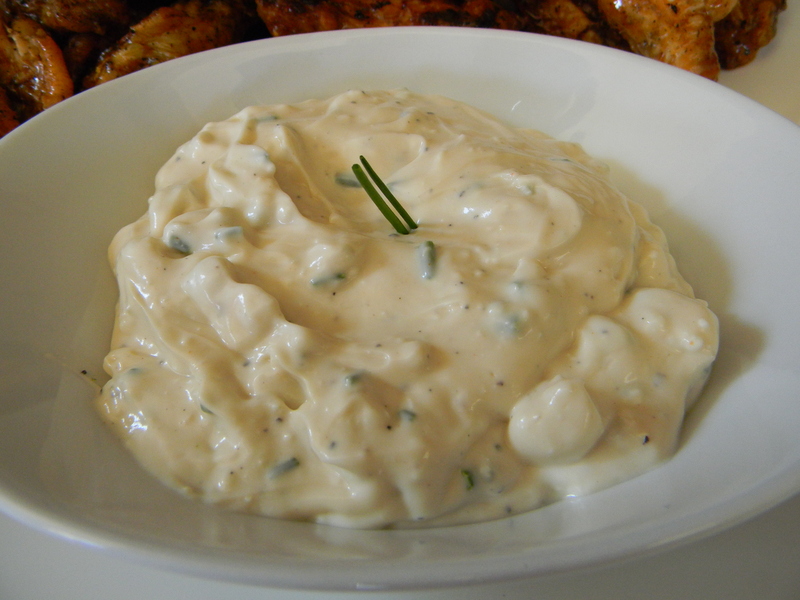 Pour dip into serving bowl, top with a dollop of yogurt or sour cream, 2 tablespoons red onion, a little pinch of chile powder (for presentation! ).